Now is a good time to register for Run Wild! A nature day camp on Wednesday December 30 that will get your little ones moving outside - cost is $15 and the timing is perfect to let you get ready for New Years Eve! For more information and to register, call 403-320-3064 . 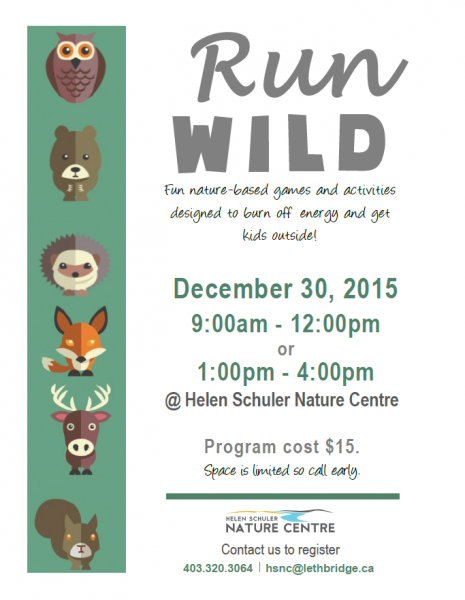 Follow the Nature Centre on Facebook for other great programs - click here!